DVB CI 标准在对“高价值”内容的保护和控制方面存在着不足之处。针对原标准的不足，由PHILIPS、NEOTION、SMARDTV等6家公司联合提出了DVB CI PLUS标准. The DVB CI standard has deficiencies in the protection and control of “high value” content. In response to the shortcomings of the original standards, six companies including PHILIPS, NEOTION, and SMARDTV jointly proposed the DVB CI PLUS standard. 1 CAM descrambled data, returned to Host without any anti-piracy measures. 2 Lack of copy and playback control of high value data. The implementation of CI+ system is divided into: basic mode and registration service mode. The working mode of the CI+ system is divided into a limited working mode and a full working mode. In order to effectively protect control information and audio and video data, CI+ introduces symmetric key encryption technology to protect important data and information based on the original command interface and data interface. The command interface and data interface for encryption protection in the CI+ standard are simply referred to as SAC and CC. RSA - data signature algorithm. 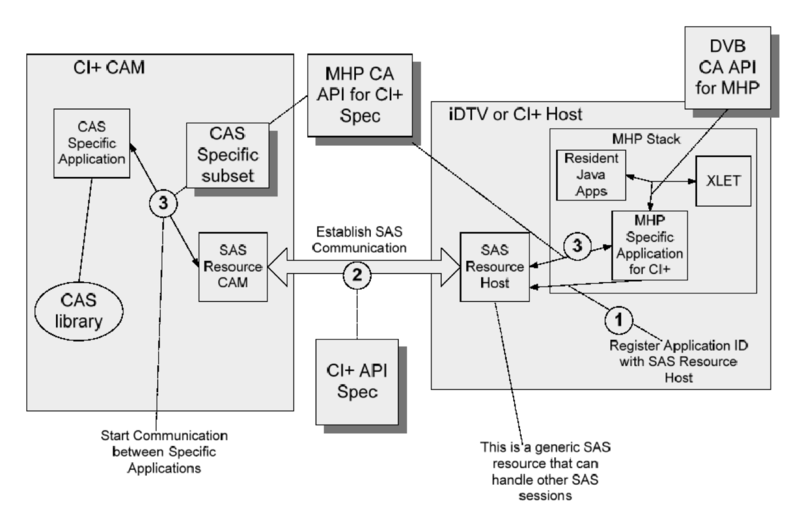 The CI+ Application MMI may operate in a Host that supports other application environments e.g. MHEG-5, MHP, etc. 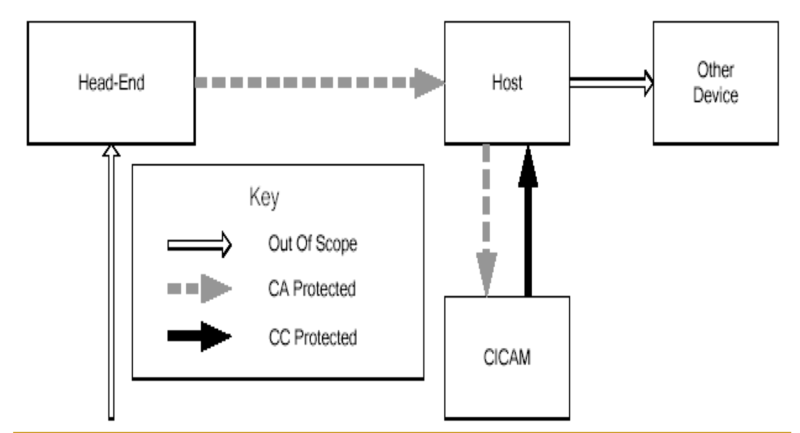 the CICAM itself may optionally source file data internally from the CICAM and/or directly from the broadcast stream. 3 Upgrade end operation prompt. specifies the PVR resource which offers the capability of recording CAS protected content and play back at a later date and unattended pin entry. allows the recording of original encrypted content (DVB-CSA) and the ability to play back at a later date by either using the original ECMs or re-encoded ECMs at the CAS discretion. The CICAM may receive System Renewability Messages (i.e. SRM) data files. SRM data files perform the function of blacklist for HDCP . 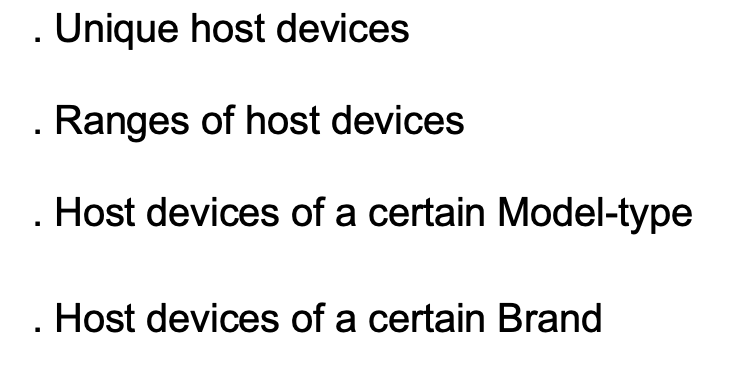 These SRM data files are to be applied to the HDCP function of ahost, subject to the host a.) deploying a HDCP output in b.) HDCP source or repeater mode. CI+ CAM use SAC channel delivery SRM data to Host.